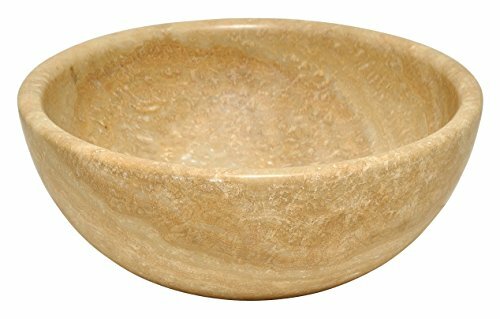 This 5/8" thick, circular bowl is a somewhat translucent, soft honey color, with veins coursing through it in various shades of brown, red and tan. The inner beauty of onyx with its marble-like striations is accentuated by the high-gloss polishing it receives inside and out. With an overall measurement of 16 1/2" x 16 1/2" x 5 1/2", it will require a minimum-width cabinet of 18". This listing does not include any accessories. 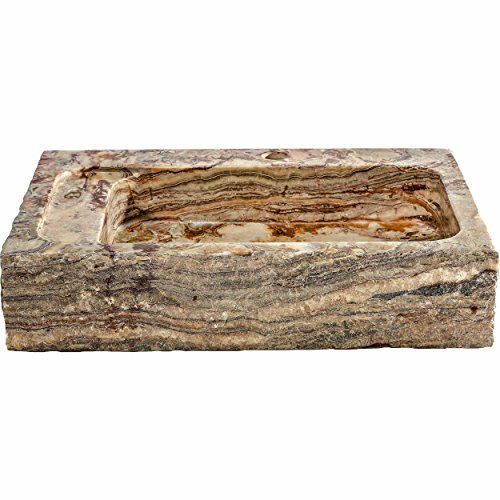 This bold, rectangular sink makes a sophisticated statement in your kitchen or bathroom. The silky golden color of the onyx is both elegant and classy. With a honed interior and textured exterior, the stone looks somehow both raw and refined all at once. (Note: Faucet is not included.) 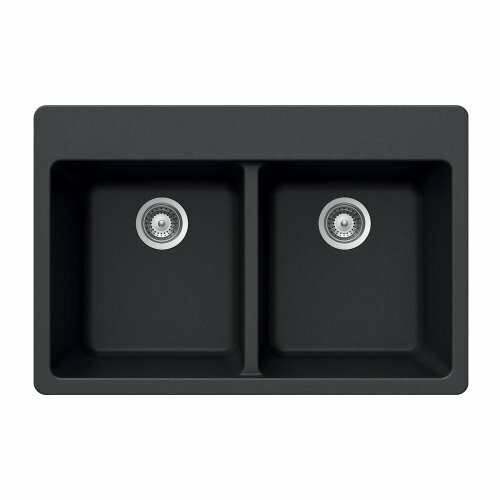 General Features: Product Dimensions: Basin: 14" L x 9" W x 3.75" D Honed interior with textured exterior Handmade with possible unique and slight color variations, so no two sinks are identical Abovecounter installation Material: Onyx Drain Hole Diameter: 1.75" Assembly Required 1 Year Limited Manufacturer Warranty applies to products purchased from Y-Decor. Warranty covers any defects in material or workmanship under normal use during the warranty period. Y-Decor may repair or replace products or parts of the product that prove defective. Warranty does not cover any problem caused by improper maintenance, damage resulting from natural disasters, theft or loss of the product. The digital images we display have the most accurate color possible. However, due to differences in computer monitors, we cannot be responsible for variations in color between the actual product and your screen. 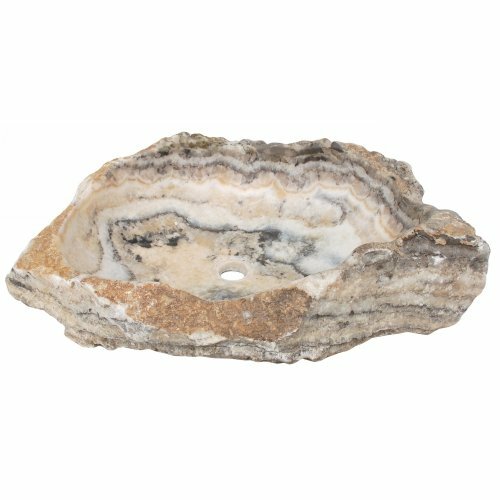 Casual Elements` hand-crafted and carved from a natural River rock boulder, this natural sink will bring a touch of drama and nature inside. 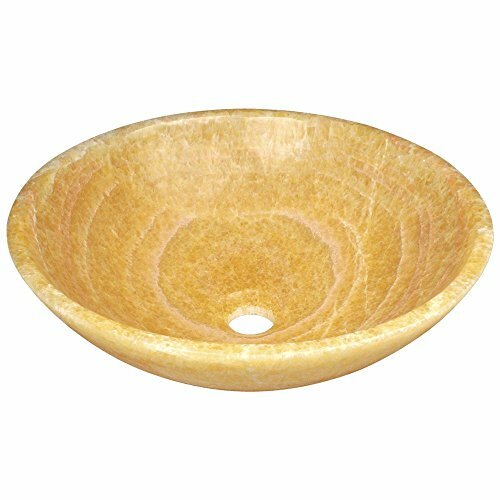 Because of its natural material, this basin varies in shape, size. Providing classic warmth, the Ira marble vessel basin is an elegant centerpiece for your bathroom vanity. 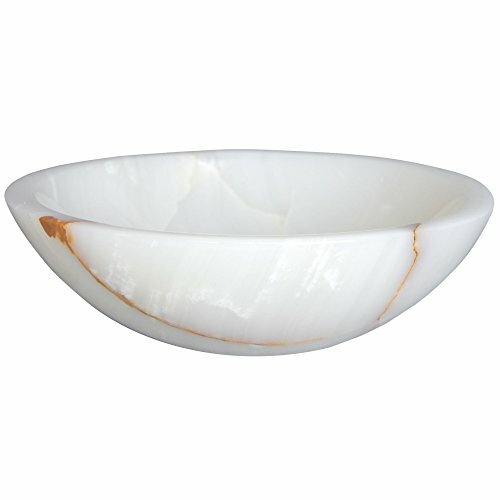 Designed to be mounted on the countertop, this natural stone vessel is strong, easy to clean and complements any decor. Virtue USA uses the finest raw materials to construct the highest quality products available. Because these beautiful vessels are carved from natural stones, each is unique and will have slight variations in color and pattern characteristics. With a durable glaze to ensure lasting beauty, the Ira basin makes a sophisticated and practical addition to any bathroom remodel. This soap dish was mined, carved, and finished by hand to ensure the highest level of quality. 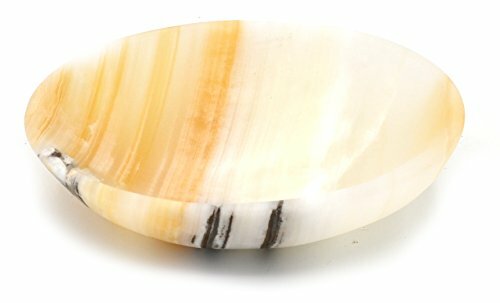 Made from amber onyx calcite, each soap dish has its own unique coat of bands, eyes, voids, and veins, but all look stunning. The amber color, with shocks of white and grey, gives them a soft, glowing vibe. The smooth stone offers an elegant, refined feeling, making it a versatile addition in any setting. Each dish weighs just under a pound, and measures 5.5" long by 4" wide and 1" tall.Every item from the "Artisan Mined" series is backed by a complete satisfaction guarantee. As is the nature of true, authentic geological specimens, each specimen is completely unique and some can be more striking or appealing to certain people. If you receive and item and are dissatisfied with the item, we will exchange your item free of charge (in some cases allowing you to preview the set before shipment). We hope you understand the variable nature of such products and want nothing more than for you to be completely satisfied. The Houzer MADISON N-200 ONYX Madison Series Topmount Granite Double Bowl Kitchen Sink features a non-porous surface, which is intrinsically hygienic and protects your family from dangerous microbes and germs. With a professional design, this double bowl sink reduces dishware and disposal noise. This product is three times harder than natural granite, but remains silky and smooth. Built to outlast traditional sinks, this product withstands temperatures up-to 500-degrees. The sound absorption reduces the noise of dishware and disposal. The Houzer MADISON N-200 ONYX Madison Series Topmount Granite Double Bowl Kitchen Sink comes with a limited lifetime warranty. For over three decades, Houzer has been improving millions of kitchens across America and overseas, one sink at a time. Houzer offers over 100 sensational models in Stainless steel, Quartz Granite, Fireclay, Porcelain Enamel steel, and Copper to match any design from traditional to contemporary. Houzer believes that sinks can make your life in the kitchen easier and more enjoyable. 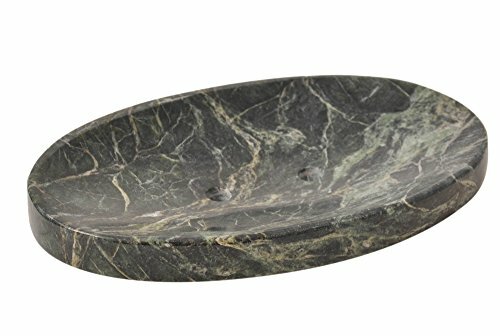 Copyright © Wholesalion.com 2019 - The Best Prices On Stone Onyx Bath Sink Online.